On June 10, 2015, EPA announced a proposed finding that greenhouse gas (GHG) emissions from U.S. aircraft endanger public health and welfare. The proposal marks the first step toward regulating GHG emissions from aircraft, which account for 11 percent of all transportation-related GHG emissions in the U.S. and more than 3 percent of total U.S. GHG emissions. EPA made a similar finding in December 2009 regarding GHG emissions from on-road mobile sources and the agency now regulates GHG emissions from passenger cars, light trucks, and heavy-duty vehicles and engines. If EPA finalizes the endangerment finding and proceeds to set GHG emission standards, the three largest sources of transportation-related GHG emissions in the U.S. would then be subject to GHG emission limits. 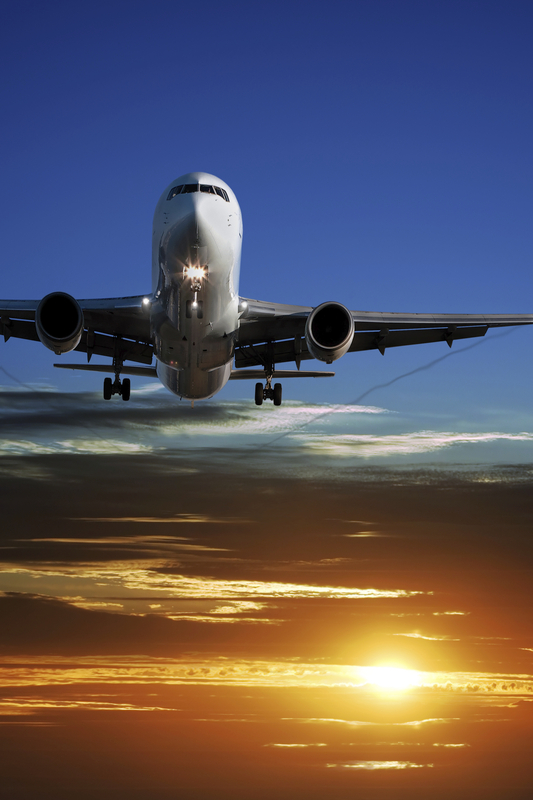 EPA anticipates a final decision on the endangerment finding in the Spring of 2016, shortly after an international aircraft carbon dioxide (CO2) emission standard is announced. EPA also included in its June 10 regulatory initiative an Advance Notice of Proposed Rulemaking (ANPR) that solicits comment and information from the public on a wide range of issues relating to possible future regulation of GHG emissions from U.S. aircraft. Following the lead of the International Civil Aviation Organization (ICAO), which has played a key role in discussions of an international CO2 standard for aircraft, EPA is requesting comment on regulation of entirely new subsonic jet aircraft types with maximum takeoff mass (MTOM) above 5,700 kilograms and new subsonic propeller-driven aircraft types (e.g., turboprop aircraft) with MTOM greater than 8,618 kilograms. “New aircraft types” includes new aircraft designs that the Federal Aviation Administration (FAA) has not previously certified as meeting all safety and environmental requirements. If finalized, these cutoffs eventually would subject more than 90% of all aircraft used in the U.S. to GHG regulation. Smaller turboprop aircraft and jet aircraft would not be covered, nor would piston-engine aircraft, helicopters, or military aircraft. EPA is also considering whether to regulate in-production aircraft types, which FAA has already certified and for which manufacturers continue to accept new orders, as well as in-production aircraft types that undergo modifications but are not completely redesigned. Although the proposal would eventually cover a majority of U.S. aircraft, because EPA is not currently considering regulation of in-use aircraft, full coverage of the U.S. fleet may take a decade or more depending on how a final rule is structured. Section 231(a) of the Clean Air Act (CAA) requires EPA to regulate emissions of any air pollutant from any class or classes of aircraft if the Administrator determines that such emissions cause or contribute to air pollution that can be reasonably expected to endanger public health and welfare. Consistent with the approach taken in the 2009 endangerment finding for on-road vehicles, EPA interprets this provision as requiring two assessments: first, whether GHG emissions can be reasonably anticipated to endanger public health and welfare; second, whether emissions from aircraft cause or contribute to this air pollution. Based largely on the comprehensive body of scientific evidence developed for the 2009 endangerment finding along with new scientific assessments, EPA proposes to find that emissions of the six well-mixed GHGs— CO2, methane (CH4), nitrous oxide (N2O), hydrofluorocarbons (HFCs), perfluorocarbons (PFCs), and sulfur hexafluoride (SF6)—endanger the public health and welfare. EPA also proposes to find that emissions from aircraft cause or contribute to the increasing atmospheric concentration of GHGs that endangers public health and welfare. Based on these findings, the agency proposes to conclude that the statutory criteria have been met for an endangerment finding on aircraft GHGs. Applicability. CAEP intends to regulate new subsonic jet aircraft and subsonic propeller-driven aircraft with MTOM above certain weights. Completely new aircraft types will be regulated, but EPA requested comment on whether to also regulate significant partial redesigns of existing aircraft types. EPA asked for comment on applying standards to aircraft types with incremental improvements, as well as alternative approaches, including one that would establish applicability criteria based on the effect of changes on CO2 emissions. EPA is not proposing to regulate in-use aircraft, consistent with an agreement between CAEP members, but notes that the CAA does not prohibit the agency from establishing standards for aircraft that are currently in-use. Stringency of the Standards. EPA did not publish specific proposed standards, noting that the stringency is still under consideration by CAEP and has not been cleared for release to the general public. EPA asked for input on the appropriate stringency of the standards and whether to establish different standards for new aircraft types and in-production aircraft. Effective Date. CAEP will likely apply the standards for entirely new aircraft types beginning in 2020. Any CAEP standards for in-production aircraft types would not take effect until at least 2023. EPA requested comments on these timelines and the effects on overall reductions of GHG emissions from aircraft. Reporting and Certification Requirements. EPA asked for input on whether to follow a CAEP-established approach to reporting in-production emission rates, or to develop a process specific to U.S. aircraft. EPA also requested comment on the certification testing process to determine aircraft emission rates. ICAO/CAEP decisions will heavily influence the stringency of the standards that EPA ultimately sets, as well as the categories of aircraft that are regulated. However, we expect EPA to be under strong pressure from environmental groups and other U.S. stakeholders to establish a rigorous regulatory program consisting of the broadest set of measures to reduce GHG emissions from aircraft operating in the U.S. Depending on how EPA structures any rulemaking, potentially regulated entities could include: aviation fuel producers and suppliers; aircraft engine manufacturers; airframe manufacturers; and airlines/aircraft fleet operators. EPA may also be pressed to require increased use of biofuels, improvements in the fuel efficiency of engines, increased frequency in the replacement and refurbishment of engines, improved aerodynamic airframes, and enhanced efficiency in aircraft operation. The proposed endangerment finding and ANPR will most likely be published in the Federal Register within the next few weeks. Once published, the proposals will be open for comment for 60 days. EPA also intends to hold a public hearing on August 11, 2015, in Washington, DC. EPA plans to finalize the endangerment finding after the ICAO/CAEP issues its final standards in February 2016. If EPA determines that regulation of aircraft GHG emissions is appropriate, the agency must issue a Notice of Proposed Rulemaking, most likely in 2017 with a final rule following in 2018. This timing means that the Obama Administration will not oversee the adoption of a final rule, with that responsibility being passed on to the next presidential administration. EPA also must consult with the FAA on development of any emission standards. The FAA will issue its own regulations implementing the standards and establishing requirements for certifying that new aircraft are compliant with those standards and requirements. Van Ness Feldman closely monitors federal and state developments on climate change, air quality, and energy policy. Our professionals provide expert analysis and advice on the implications of emerging legislation and regulatory activity, and the surrounding policy and political debate. For more information on EPA’s new regulations, please contact any member of the firm’s Environment, Air or Climate Change practices at (202) 298-1800.